I took this photo some years ago….I was fooling around with aperture and speed and honestly don’t know how I caught this. I’ve always liked it, though, as far as self-portraits go. It was taken at a time in my life that seemed to always be in motion. Three kids in high school/middle school, a bunch of after school activities, and a return to teaching for me. It was, to say the least, crazy. It was also a wonderful time. I can’t believe how quickly the years have flown by…it’s been a blur. A busy. Happy. Joyful. Blur. Maria, I love everything about this post! Bravo! Life at times does seem to fly by so quickly that we become embroiled in the moment and do not realize that time and circumstances are speeding by us. Good photo. Thank you for sharing. María es preciosa la foto. A mi también me da sensación de que los años han pasado demasiado deprisa y de que todo se va desenfocando según vamos cumpliendo años. It is wonderful, when what you think of as a mistake turns out so fantastic. Thanks. I just couldn’t delete! Very effective! Perfect for Blur. Great that you kept it, I like it too! 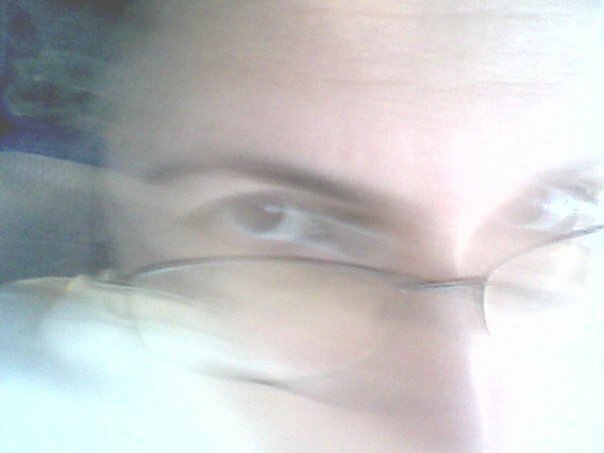 Life is a blur in so many ways, and I am still learning, even in my 50’s to appreciate and savor moments. This is way a photography should never toss any photo in the trash. Good capture, even if it was by accident. I like that too! I like messing with speed settings and out of focus blurs!! Fun!! Perfect response – and how so many parents feel! Thanks for sharing. Nicely done…I have done something similar. Thanks! I was goofing around with the camera while waiting for some after school pick up!